If you have been tossing and turning throughout the night, unable to fetch enough zzz, then know that you are not alone. Sleep disruption is a global concern with over 45% of the world population unable to sleep properly. Zooming in on the US, a third of the population is sleep-deprived. A survey by Statista reveals that 39% and 35% of females and males respectively complain about getting inadequate sleep. Keeping these statistics to the fore, the CDC calls sleep disruption a public health epidemic. And this concern isn’t the type that you should simply sweep under the rug. In fact, sleep problems can be grave, leaving you scratching your head and wondering about urgent care near you. This is because the issue doesn’t only culminate in yawns and dipping energy levels the next day but it results in sleep disorders. The American Sleep Association highlights that 50-70 million adults experience a sleep disorder. Some of these disorders include sleep apnea, insomnia, and restless leg syndrome. The Association further elaborates that there are 25 million US adults that suffer from obstructive sleep apnea. At the same time, insomnia, the most common among sleep disorders, has 30% of adults as its victims. The problem does not stop there. Poor quality sleep correlates with numerous health issues. These include depression, Alzheimer’s, cardiovascular disease, and even obesity. Sleep disorders also climax in a disturbed mood, productivity decline, energy insufficiency, and weight gain. It can take a toll on your mental health too. The 24-hour biological clock that ticks in your body, signaling the day-night cycle, is the circadian rhythm. It regulates the quality and quantity of sleep that you get. Simply put, the more consistent your circadian rhythm, the better you sleep. While there can be several reasons for disturbed circadian rhythm, blue-light is surfacing as an immediate cause. Our smartphones and other electronic devices emit this blue-light or shortwave spectrum light. Unfortunately, the body’s clock interprets this light as daylight, which hampers the sleep cycle. Not so surprisingly, 95% of individuals use their smartphone before going to bed. A 2017 survey further confirms that around 75% of folks keep their phone on round the clock. They do not turn their smartphone off as they head to bed as well. Solution: Turn off your screens. The most effective solution, in this case, is to put the source of blue light away from your face before bed. Studies hold this artificial light responsible for shifting your internal sleep clock by 4-6 time zones. It is only wise to turn your phone off before taking a nap. The use of recreational or social drugs such as alcohol, nicotine, and caffeine also chip in restless sleep. Caffeine can stay in your system for up to 14 hours and swells the number of times you wake up between sleep. This reduces the total amount of time you drowse. A study indicates that consuming caffeine 6 hours before bed can cut down an hour of your sleep. Research underlies that smokers tend to sleep lightly relative to non-smokers. Smokers are also likely to get less time of deep sleep. A study also indicates that smokers have 2.5 times the increased risk of suffering from obstructive sleep apnea. Moreover, in a survey, 22.5% of smokers admitted restlessness. Likewise, alcohol sacrifices the quality of sleep you get by blocking REM sleep, which is considered as the restorative kind of sleep. Around 20% of the US citizens drink alcohol before snoozing. All of these drugs also disrupt the circadian rhythm. The best solution here is to cut the root of the problem. Solution: Quit smoking. It is essential to quit smoking not only for promoting good sleep but also numerous other health concerns. On average, the body takes an hour to process a unit of alcohol. Hence, keep both coffee and alcohol consumption at bay 4-6 hours before bed. High levels of stress and anxiety may also trigger a sleepless night. Stress is a common precursor of insomnia. It creates three ways of sleep troubles. These include submitting poor sleep quality, making it onerous to fall asleep, and making it challenging to stay asleep. The psychiatric concern corresponds with hyperarousal. This upsets the equilibrium wakefulness and sleeps, thus, preventing you from slumbering like a log. As per the Stress in American survey, 43% of adults report stress as the reason for staying awake at night. 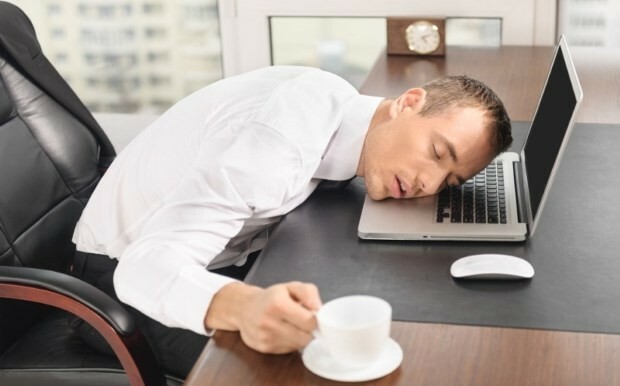 50% of the survey’s participants further complained about feeling lazy in the day after a night of poor sleep. A study also reports that stress can increase the odds of developing insomnia by 19%. There could be other reasons behind insomnia too like depression, asthma, thyroid disorders, and restless leg syndrome. Your insomnia can also turn chronic if it extends over a few weeks. Experts suggest that if insomnia doesn’t go away in a day or two and nothing helps you with your sleep, then you need professional care. Therefore, in the case of both stress and insomnia, you need to visit urgent care and seek help. Climbing up the age ladder can also contribute to disturbed sleep patterns. Age can be held accountable for sleeplessness. However, research also suggests that medications taken by seniors for their health can lead to sleep problems. A study reveals that 23-24% of the older population report insomnia symptoms. Underlying medical conditions may also be the reason why you have difficulty in snatching winks. Some of these common conditions are neurodegenerative disorders, osteoarthritis, urinary problems, and gastroesophageal reflux disease to name a few. Solution: Take care of yourself. In the case of such health problems, it is significant to keep track of the concerned symptoms. Other than that, you can encourage slumber by maintaining a regular bedtime and taking a warm bath that relaxes your body. You should also avoid afternoon naps that are likely to keep you up at night.